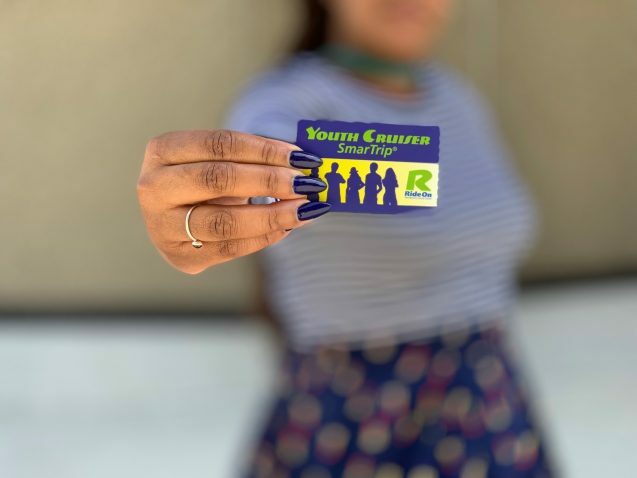 Kids (18 and under or older if still in high school) are able to ride County Ride On buses and certain Metrobus routes within Montgomery county for free while using their Youth Cruiser SmartTrip card. Free rides are available on weekdays between 2 and 8 pm. 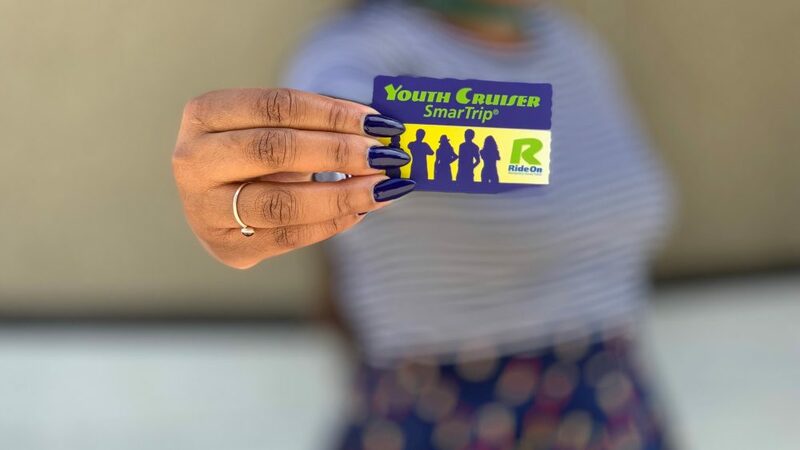 Students should show their Youth Cruiser SmartTrip card when boarding buses. All Montgomery County libraries, some schools, and a few other locations will sell the card for $2. For more information or to see a list of schools selling the commuter cards, please visit Mont. Co. Department of Transportation.